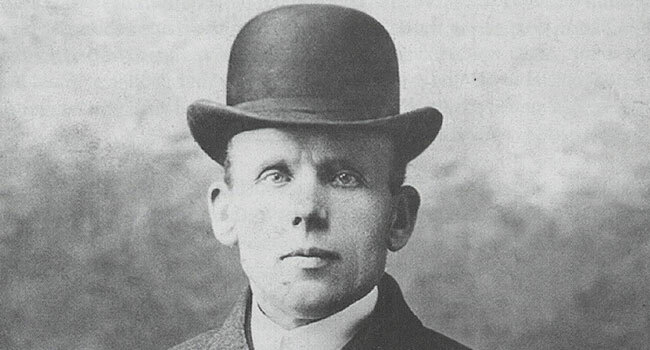 How did convicted 19th-century killer John “Babbacombe” Lee cheat death and spend his final years in Milwaukee? John Henry George Lee, born in Abbotskerswell, Devon, England on August 15, 1864, was sentenced to death when he was just 20 years old. 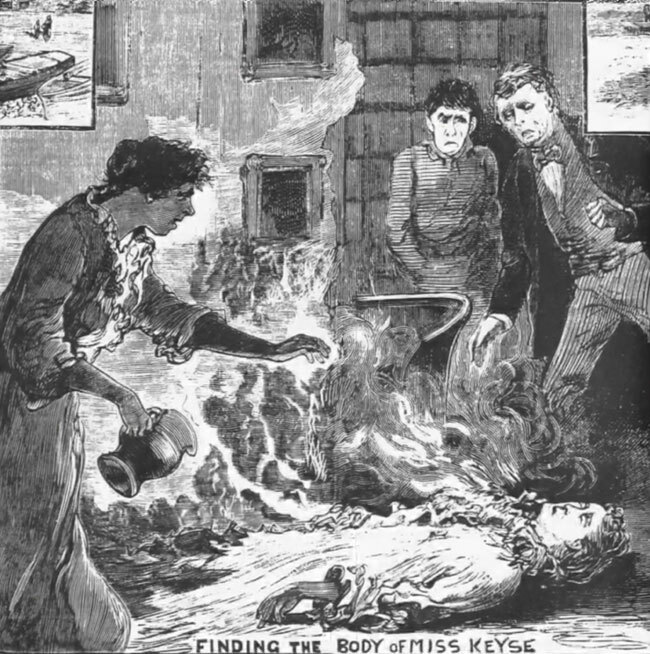 In the early hours of November 15, 1884, however, Emma was found dead. She had been ruthlessly beaten and her throat was cut. The killer then attempted to cover up the crime by setting fire to her body, as well as several other areas around the house. Lee was arrested later that morning. 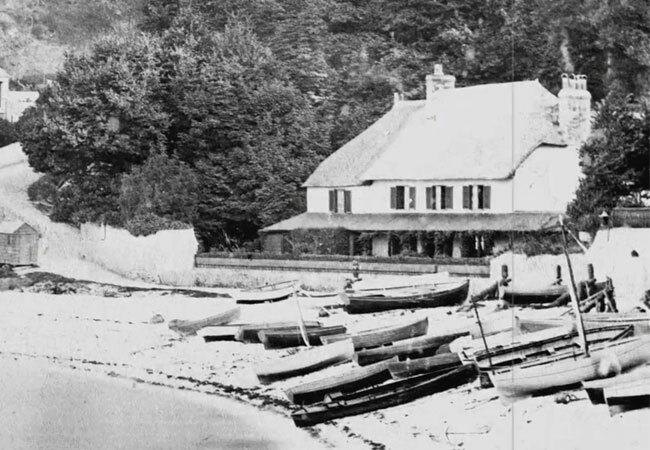 Emma employed several servants at The Glen, but Lee was the only male. She had also recently informed him that she was selling the house and would be cutting his pay. That, along with other circumstantial evidence such as a cut on his arm, was enough to seal his fate. At Lee’s trial, his sister testified against him. 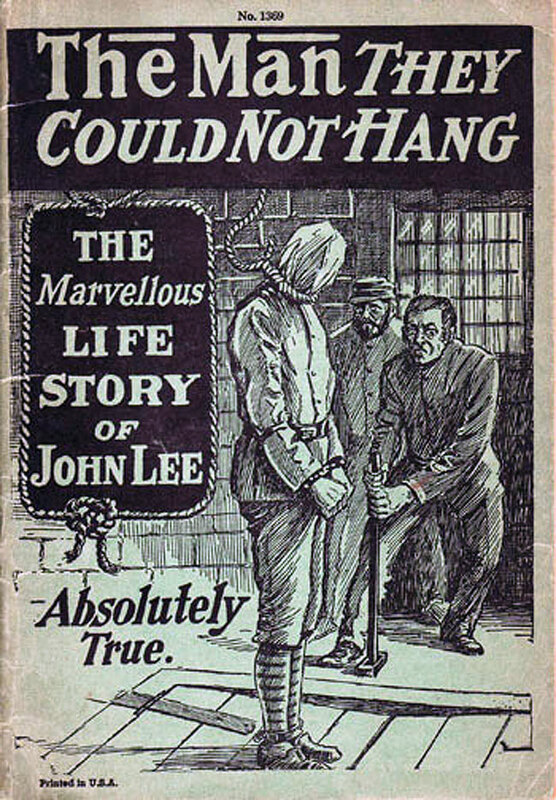 Lee was convicted and sentence to hang, though he maintained his innocence straight to the gallows. He climbed the scaffold on February 23, 1885 at Exeter Prison, where he stood awaiting the drop. But when executioner James Berry pulled the lever, the trap door through which Lee was supposed to plunge failed to open. Berry examined the mechanism without Lee on it, and it seemed to work fine. As Lee stood there a second time with the noose securely around his neck, however, the trap once again failed. After the third time the medical officer attending the execution refused to take part in further proceedings. The execution was halted. Lee’s sentence was commuted to life in prison. Lee was released 22 years later in 1907 at the age of 42, and began touring the country telling his story. “The Man They Could Not Hang” was something of a celebrity. He married a respected nurse named Jessie Augusta Bulled in 1909. Their son John was born the following year. Then, in 1911, Lee abandoned Jessie and young John in Lambeth Workhouse, leaving her destitute and pregnant with their second child. What became of Lee after that, however, was something of a mystery. It was commonly believed he had gone overseas and died there, until a historian made a discovery in 2002. A death certificate and unmarked grave suggested Lee had died in a workhouse in Tavistock and was buried there. But Lee did not die in England. In 2009 researchers Mike Holgate and Ian Waugh discovered a trail of documents that told a different story—one that confirmed the original suspicions. When the limelight began to fade, Lee boarded a ship in Southampton bound for New York on February 19, 1911. He was accompanied by a woman named Adeline Gibbs. Adeline was fleeing her own marriage and, according to the ship’s manifest, claimed to be Jessie Lee. Lee sent money back to his wife for a few weeks, but soon wrote to inform her that he would no longer be able to help. Soon after, Jessie gave birth to a baby girl and named her Eveline. The convicted killer and his mistress settled in Milwaukee, where they started a new life. In 1914, Adeline gave birth to a daughter. They named her Evelyn. Unfortunately, John once again found his name in the news when Evelyn met a tragic end at the age of 19. Evelyn, who had just become employed as a maid for Dr. Arthur Kovak the week before, was found dead on October 12, 1933. Kovak, who lived in an apartment at 1803 W. Wisconsin Ave, arrived home to discover her lifeless on the bathroom floor. She had been cleaning draperies with naphtha when she became overwhelmed by the noxious fumes. The official cause of death was accidental asphyxiation. The media reported the Lee’s address as 922 South 10th Street. 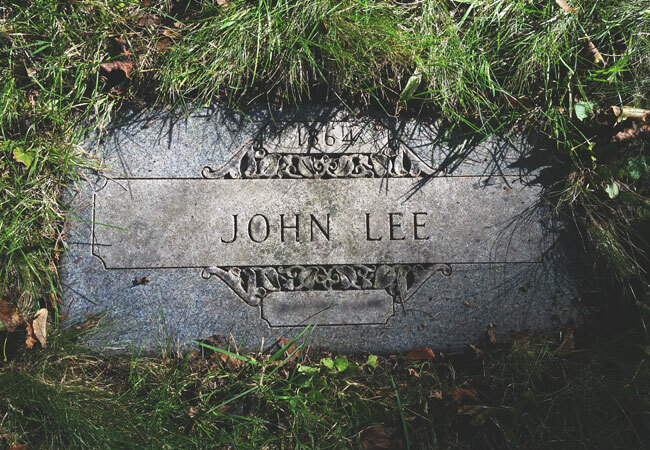 Some articles incorrectly reported John Lee himself as dead in 1933, but he still had a few more years left in him. Forest Home Cemetery records show Lee bought three plots in 1937. When he died on March 19, 1945 at the age of 80, Lee was laid to rest beside Evelyn. At that time, Lee’s “widow” was reported to reside at their home at 454 East Holt Avenue. Adeline died in 1967 and was also interred beside Evelyn. 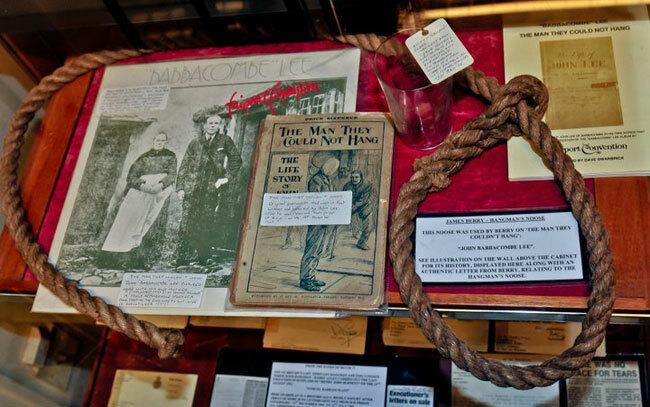 John Lee, the man who was convicted of murder in England, survived hanging three times, and became an Edwardian celebrity, lived out the remainder of his years in anonymity in Milwaukee. Harris, Lee claimed, confessed to Keyse’s murder on her deathbed.